Hi everyone! 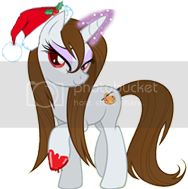 I just wanted to share pics of my ponies! 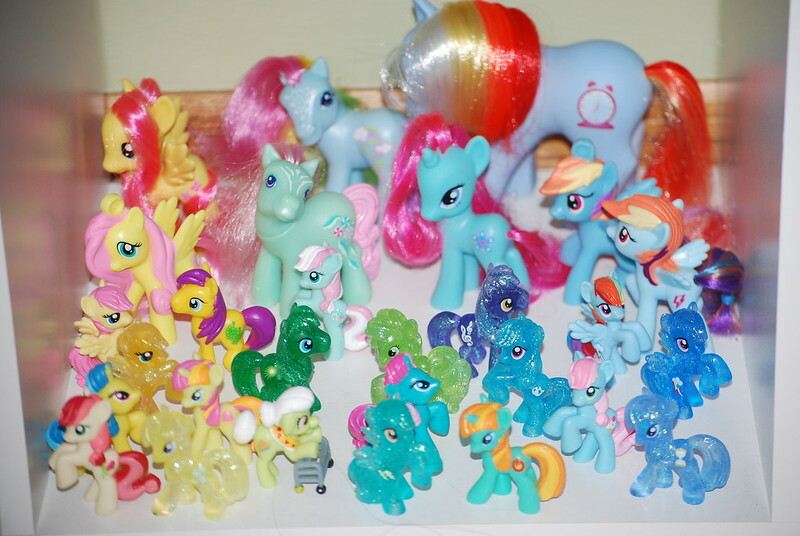 My favorite are the blind bag sized ponies, they are so perfect for collecting! Thanks for looking! i love the color display!! and bright eyes is one of my all time faves!! 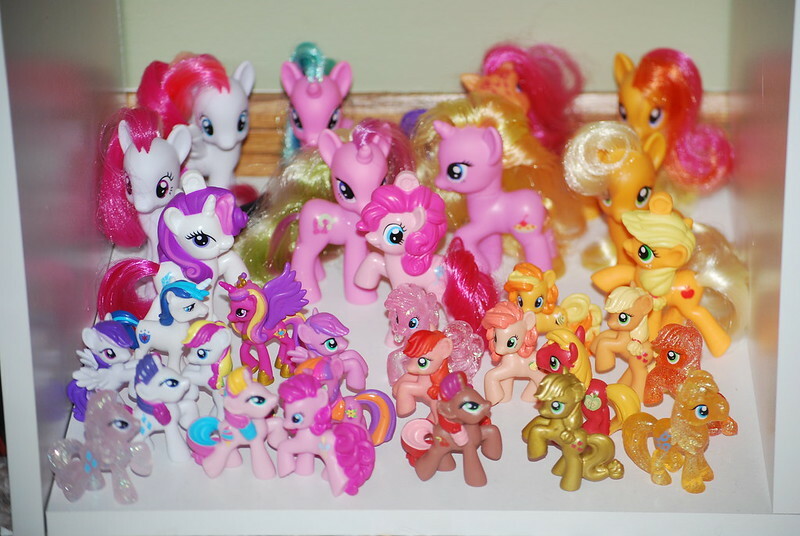 love the way you arranged them by colour loads of cute ponies! Thank you everyone for the kind words everyone! Yes, I do like to arrange them by color. I haven't figured out another way that's as visually organized. 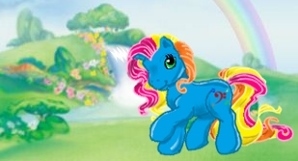 Bright Eyes was one of the three ponies I had as a child. 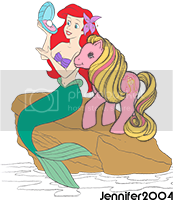 The others were Medley and baby sea pony Splasher. All three of them were lost so I'm trying to replace them on ebay. 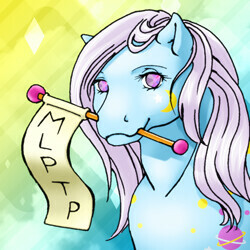 I love the blind bag ponies. They are so cute! Great collection! Very organized too! Luna! Bright Eyes! 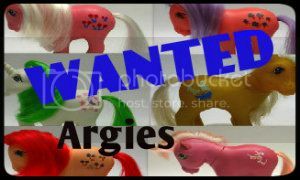 Applejack!.... want! TE Bright Eyes I love her. Nice collection! known as BabyPosey on the arena! ooh! Lily blossom looks so pretty! Must have! 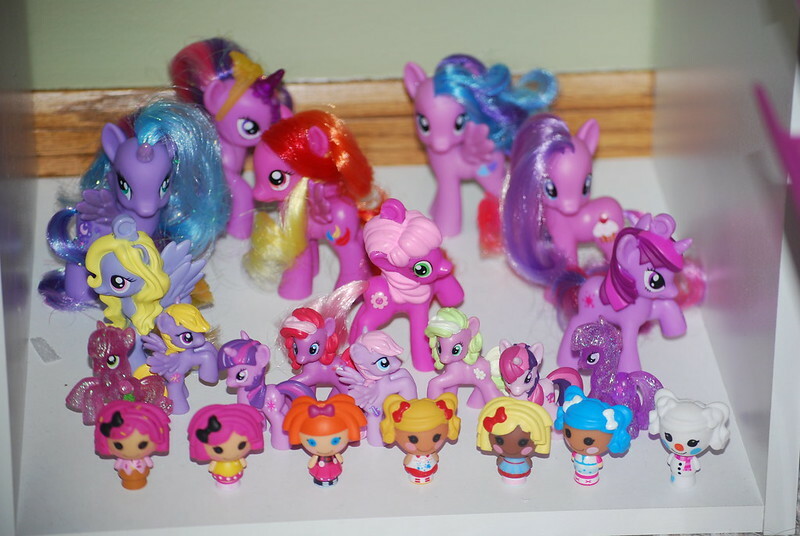 Your ponies are lovely, but I was really excited to see the Lalaloopsy micros! They're adorable.